24 HOURS AT NOOSA CREST – 1 PERFECT DAY! The perfect place to enjoy a perfect day (or days)! Whether its relaxing in your own private spa taking in the view over Laguna Bay, enjoying a game of tennis on the floodlit tennis court, bird watching from the privacy of your balcony, watching the sun set over the hinterland, taking a sauna or lazing by the rooftop pool, there is something for the whole family at Noosa Crest. 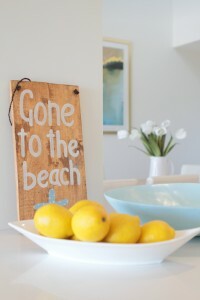 Being huge fans of Noosa, we know that it’s hard to stay put, no matter how nice your accommodation is. There’s really so much to enjoy and something for everyone in Noosa! Whether it’s strolling along the beach or famous Hastings Street, window shopping or getting right into some retail therapy, indulging in simple fish and chips, a little café culture or the full gourmet experience, bar hopping and night-life or just chilling out in the calm, secluded waters of Noosa’s Laguna Bay, it’s the perfect place for a perfect holiday. So, we’ve given you our thoughts on some the best things to do in Noosa, so you can mix it up a bit and create your own perfect day in Noosa – every day! *Simply sit out on your generous balcony and watch the whales or dolphins frolic in Laguna Bay, enjoy the birdlife …..or just simply enjoy the sun, the ocean breeze and those stunning views with a great book and a glass of something cold. *Take a dip & sample the resorts selection of pools, heated spas and saunas. *Take time out for a massage and spa treatment in the privacy of your own apartment. *BBQ some fresh seafood & Mooloolaba prawns on the rooftop at Noosa Crest at sunset and you’ll feel on top of the world. *Test your skills on the floodlit tennis court, try your hand at stand up paddling or surfing the small perfect breaks at Little Cove. Swim the warm, clear, calm waters of Laguna Bay; Walk or run the National Park & look like a local, just don’t be too distracted by the views or you’ll end up over the cliff! Take a leisurely stroll down the private tropical bushland boardwalk and…voila! it’s all right there! *Hastings Street is shopping heaven so get amongst it and try on some great fashion, beachwear, jewellery or checkout the stylish homewares & art galleries. *Make your way out to Noosaville to Belmondos and pick up gourmet goodies for languid picnic lunch at Tea Tree Bay or Little Cove in the National park or down at The Woods at the end of Hastings Street. *Take one of the daily tours to the Noosa Everglades or up to Fraser Island. *Feel like a leisurely drive? Head up to the cool, green hinterland and explore the quirky, crafty towns of Montville, Maleny and Mapleton. *Get out to the famous Eumundi Market (Every Wednesday and Saturday) and browse the creative bargains, great food and entertainment. *Hire a pontoon boat from Gympie Terrace and explore the beautiful Noosa River. *Take the family to Australia Zoo. Just an hour’ drive south or catch the daily shuttle. 7:30am Stroll down to breakfast at Cafe Le Monde or Season (on Hastings Street) & indulge in fabulous eggs benedict, great coffee & the paper. 9:00am Experience a horse ride on the Noosa North Shore beach or hire a stand up paddle board & meander your way down river or out on the bay, you might spot a pod of dolphins. And so ends another perfect day in Noosa. Don’t forget to share your experience. Even if you’re not into competitions – you have to have a go at this one. The prize is a celebration of all the best things in life – great food, luxury Noosa holiday and best of all…romance. It’s our EAT, STAY, LOVE competition and it’s on now. Simply fill in your details below & hit SUBMIT & you’ll be in with a chance. For another chance to win – simply ‘Share’ the link with 5 of your friends (or like us on Facebook) & we give you another entry and an extra chance to win. It’s winter? Seriously? 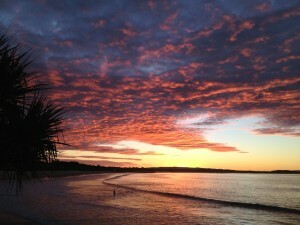 This is end of another perfect winter day in Noosa. A winter wonderland with a difference! True…it is cooler, especially at night and those mornings can be a challenge to get to the beach for that morning walk or swim but seriously! It’s 22 degrees during the day and the temperature really only plummets to 12 degrees on the coolest nights. Not exactly freezing…right! The locals may be rugged up in coats and boots but the visitors are out on the beach in force, frolicking in the waves, surfing, swimming and having fun. Even the little ones are out there on their boogie boards totally oblivious to the fact that it’s winter! *It’s peaceful. No crowds, parking is not an issue – on the street or for yourself on the beach, nor is getting into your fav restaurant or getting a room at a great price. *Shop and café staff are more attentive and relaxed and are genuinely happy to see you and serve you. And best of all, there are bargains to be had! *The beach is perfect…unspoilt by crowds and the water is calm and crystal clear. Fish everywhere! 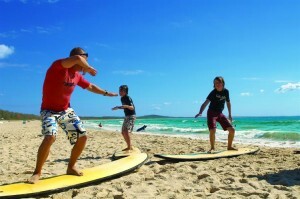 Noosa’s North Shore is at its best – so it’s a great time to head up the beach in your 4WD and enjoy a spot of fishing. 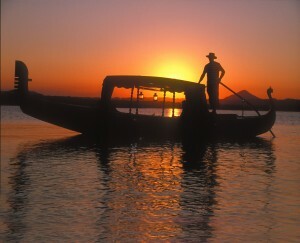 *Most days are clear and sunny and finish with stunning sunsets – like the one above. Sometimes it rains but not often (and when it does it’s your excuse to curl up on the lounge with your book and a hot chocolate). *Wildlife spotting is better. The koalas seem to appear more often in the National Park and the brush turkeys are everywhere and the birdlife is amazing, everything seems to come to life. *The cool weather is perfect for hiking the National Park or Noosa Hill or even exploring the mountain ranges, and for long bike rides out to quaint hinterland towns or down the scenic coast road. It’s also perfect for throwing on a jacket and strolling to your restaurant of choice for a luscious glass of red with your pork belly or Osso Buco. And, for finding a sunny spot on the grass for a lunchtime picnic in the Woods, the Lions Park or along Gympie Terrace. *And best of all….it’s perfect weather for snuggling up with your loved one and enjoying those romantic sunsets. 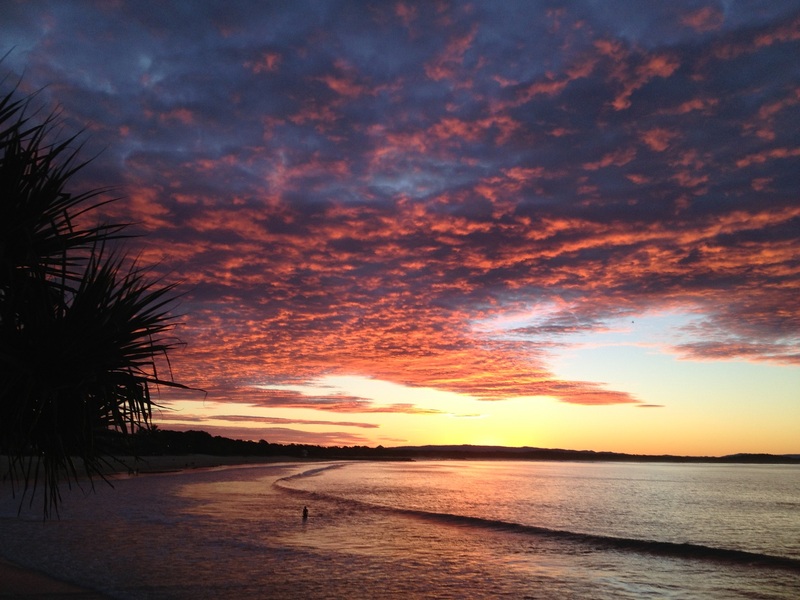 We love Noosa in winter and so will you. Let us know if you have had any special winter moments in Noosa. It’s February and of course love is in the air. This time of the year we’re inspired (or maybe expected) to add a little romance into our lives. So, what to do? Where to go? In case you need it….here’s a little inspiration from one of the most romantic destinations in Australia….Noosa of course! 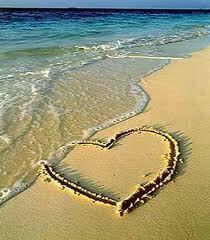 For those seriously romantics….indulge and enjoy these very special Noosa experiences. Lots of brownie points here! Whatever you do – feel the love! Ultimate Luxury Accommodation in Noosa Heads.